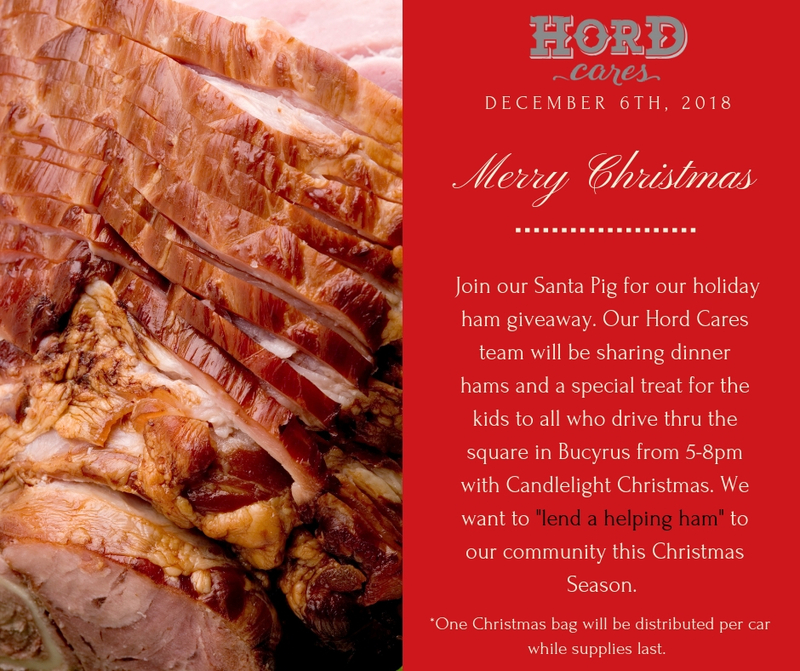 Hord Cares is holding a Holiday Ham Giveaway at Candlelight Christmas on December 6 from 5 to 8 pm. The drive-thru only giveaways will be in Washington Square, Downtown Bucyrus. First-come, first-served.